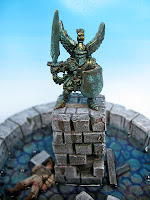 In this post I will show you some pictures of one of my first pieces of terrain, a fantasy fountain for Mordheim. 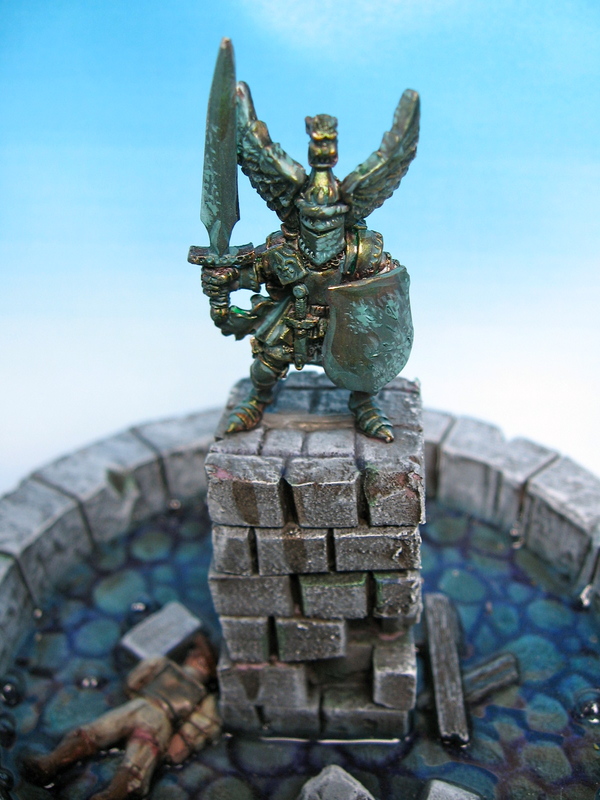 I used this model to try painting verdigris and to experiment with using water effects. At the time, I was pretty into Mordheim (I don't think I played many games, but I did enjoy making scenery for it). Here are another four Sherman Vs for my 11th. Armoured Division armoured squadron. I painted these models in a similar fashion to the other platoon I posted. With these models complete I now have the HQ and two minimum mandatory platoons for an armoured company. All of these models are the Shermans from the new Open Fire starter box for Flames of War. I've finished painting the first Flames of War models for my 11th. Armoured Division. This platoon is a platoon of two Sherman Vs and two Firefly Vcs for the British 11th Armoured Division during Operation Market Garden. These are my first actual Flames of War and 15mm models. All of the models are from the excellent new Open Fire starter set. 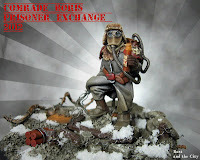 Painted for 2012 Prisoner Exchange. Another year complete. Although it is a cliche, I'd like to post a quick year in review entry. This blog will review my goals from last year, the models I painted this year, and will preview what I hope to achieve in my hobby pursuits in 2013.